Today we are discussing about the Daily GK Update Current Affairs of October 3rd, 2018. Now a days at current generation candidates are preparing for the bank exam and as well as government examinations, for the sake of students who are preparing for the upcoming banking examinations we are there to help you in the studies, here we mentioned the Current Affairs every day in this site. 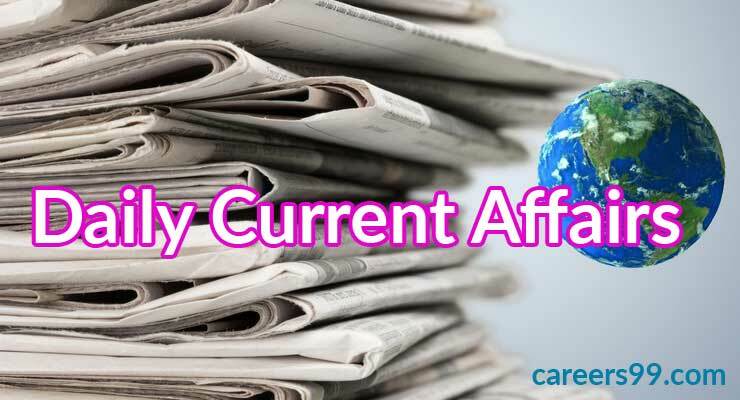 Careers99 gives you the best current affairs and daily GK Quiz. Just see the below article you can know the current affairs across the world. Current Affairs plays very important role at the time of govt & Bank Examinations. Candidates make thorough with these current affairs and get good score in the upcoming events. Narendra Modi a PM hosted the 1st assembly of International Solar Alliance at Delhi. This event was the same as 2nd IORA Renewable Energy Ministerial Meeting marked as the same as the 1st assembly International Solar Alliance. The Secretary-General of the United Nations, Antonio Guterres, was present on the occasion. Government of Odisha successfully launched the Food Security Scheme to rescue the people. Naveen Patnaik a Chief Minister launched this scheme through a video conference in Bubaneshwar. As per the ruled and regulations over 25 lakhs students were left out for the National Food Security Act. Those people will get the per month they will receive 5 kgs of rice. For this scheme the Odisha Government is spending nearly 442 crores per year. State Bank of India reduced the ATM withdraw Limit daily based on its classic debit card of 40,000 to 20,000. There is no change in the daily withdrawal limits on other cards. The new limit will be effective from October 31st2018. Shavkat Miriziyoyev an Uzbekistan President me the PM Modi in New Delhi at Hyderabad House. During Delegation levels, the 2 sides took stock of bilateral relationship across several sectors. Arthur Ashkin, Gerard Mourou And Donna Strickland awarded a Nobel Prize in Physics for the inventions in Laser Physics. Royal Swedish Academy of Sciences has successfully warded a Nobel Prize for those authors.